When it comes to love there’s a fine line between passion and obsession, ardor and madness, ecstasy and terror. In Beatrysel Johnny Worthen takes all the shades and flavors of love from filial to sexual and whips them into a frenzied frappe of occult horror, thriller, and philosophical treatise on the nature of man, God, angels, and demons. Did I mention it’s a love story? One of the major themes of this novel is that the lover protects the beloved. Beatrysel is a demon created to be the personification of love and brought to this plane by Julian Cormac, a professor who has devoted himself to understanding the magick that underpins our universe. Demons, of course, have their own agendas and all the maturity of greedy children in a candy store. 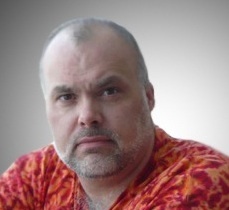 It’s up to Julian to banish his beloved, his child and lover, and end B’s reign of terror. Of course, the story itself is nothing as straight forward as what I’ve described. Johnny keeps the reader guessing and on the edge of his seat as the story twists and turns. Bad things come to those who want to keep Julian on a cocktail of anti-psychotics and there’s more than one puppet master. To say more would spoil the story. The writing is quick-paced and snappy, with imagery that not only sings, but at times does the hokey-pokey off the page. Told in omniscient present tense with several major flashbacks, I have to admit it took me a couple of chapters to get into the rhythm of the story, but once you get in the head of the characters, you’re hooked. I loved the scene where Julian’s sister discovers her husband and a skanky musician in the middle of a tryst. What happens next is outrageous, completely cathartic, and applause-worthy—something every woman secretly wishes she’d give in and do if ever in that situation. I’m not even going to mention the creepy coffee beans. Let’s just say it’s going to be a long time before I can walk past that section of the grocery store again. A raw, ragged, and convoluted read, it’s not for the timid. You’ll find yourself turning lights on and checking the locks at night. 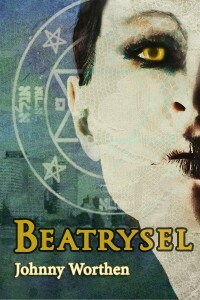 Beatrysel by Johnny Worthen is published by Omnium Gatherum and is available as a trade paperback and eBook from Amazon.